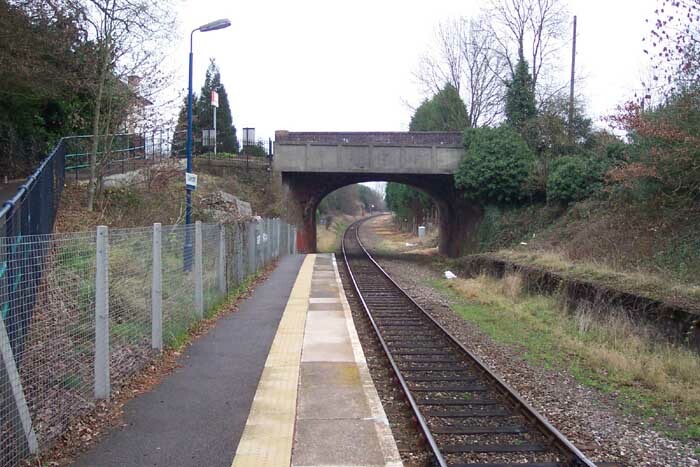 Claverdon station opened in 1895 on a section of track which serves as a link between the GWR's Oxford & Birmingham Branch and its Hatton & Stratford Branch (which would later be extended to Birmingham as the North Warwickshire Branch in 1908). 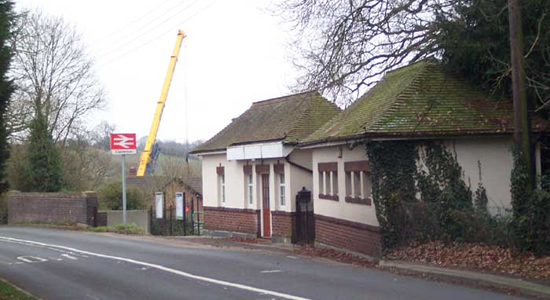 It is a rather oddly planned station site and, as with all the stations in the area, has faced considerable 'rationalisation' over the past 30 years - ie: become unstaffed, all amenities removed, track reduced and services cut. 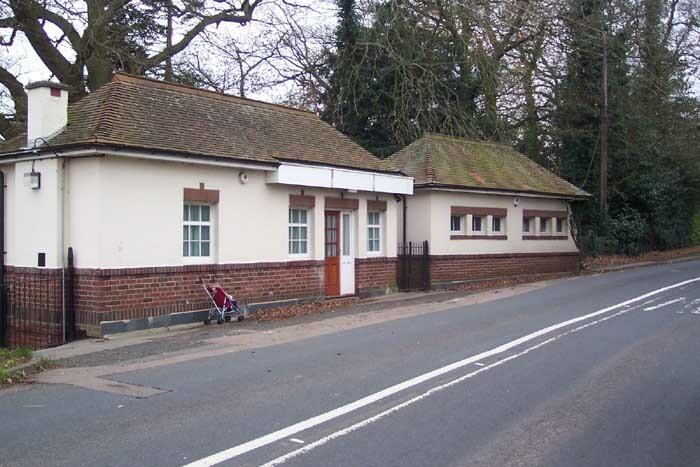 Above we see the rather odd-looking disused station buildings on Station Road which, although rather 'Hansel and Gretel' are of too small a size to be sold-off as residential properties. Above-left we get a closer look at the station buildings (with my somewhat bemused son keeping watch from his pushchair): the entrance to the single platform is via the gate to the extreme left of the photograph. 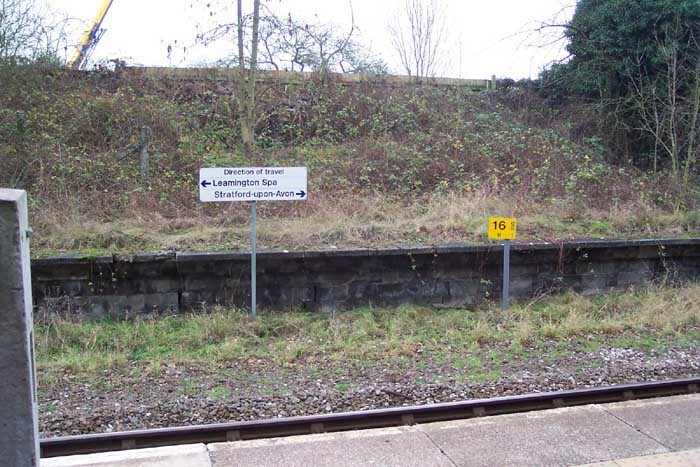 Above-right we see the direction indicator signpost which is directly opposite the bottom of the ramp leading to the platform. Above-left we are looking in the direction of Leamington Spa through the Station Road overbridge with the entrance ramp being to our left. 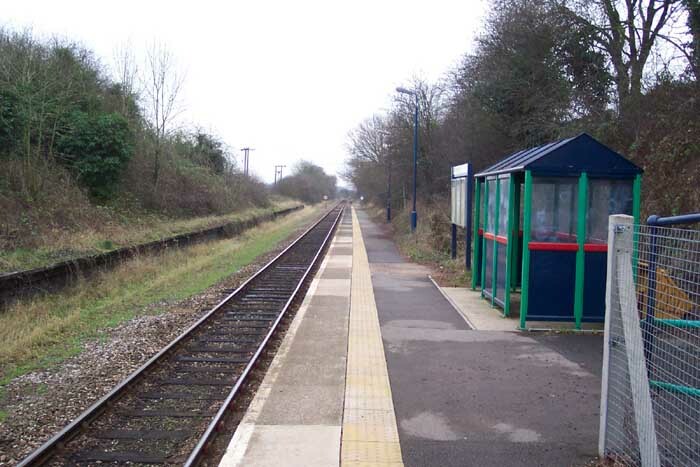 The Stratford-upon-Avon platform can still clearly be seen on the right-hand side but is now quite overgrown. 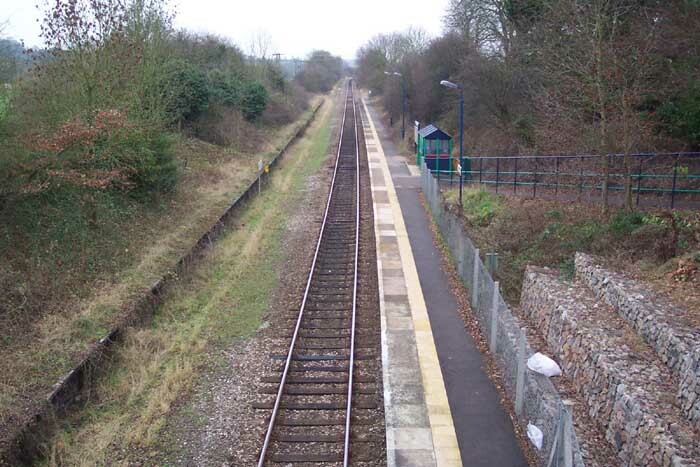 Above-right we are in the same spot but looking towards Stratford-upon-Avon and can see the surprising length of the platforms which indicate the size of trains expected to call at the station when it was conceived. Above-left we are on the Station Road overbridge looking in the direction Leamington Spa. 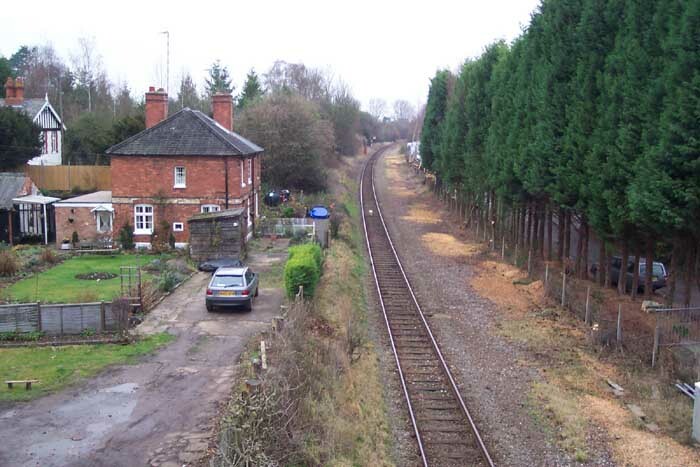 The house in the foreground was the stationmaster's house and between that and the bridge used to be the original station building (on the left) and platforms plus a small goods siding which was to the right of the present-day tracks. Above-right we are on the footbridge that runs parallel to the Station Road overbridge looking in the direction of Stratford-upon-Avon. The surprise here is that a station of such size was built in what is, certainly today, a small country hamlet.